December 2017 Ranked Play Season – Gear Up, Get Down! 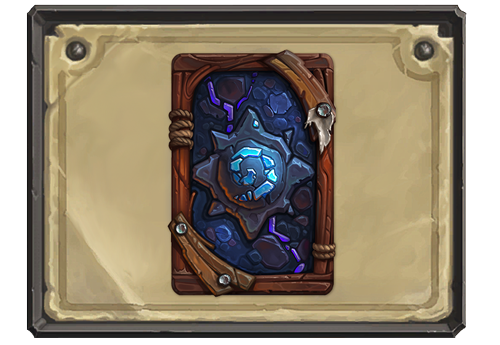 The December Ranked Play Season is now live—and we’re unveiling a new card back you can add to your collection! Kobolds & Catacombs arrives this month, so it’s time to prove that you’re a bonafide dungeon delving dynamo! Gear up, get down, and grab all the treasure you can handle, then add the Catacomber card back to your collection by playing Hearthstone during the month of December. These card backs replace the art decorating the reverse side of your cards and are a great way to show off your Hearthstone accomplishments. Add the Consummate card back to your collection by hitting Rank 20 in either Standard or Wild Ranked Play modes. You’ll receive the Catacomber card back at the end of December’s Ranked Play Season in your Ranked Play reward chest. You earn Ranked Play reward chests based on your highest earned rank over the course of a Ranked Play season. Reward chests may contain seasonal card backs, Arcane Dust, and golden cards, and can be obtained by playing in either Standard or Wild Ranked Play modes. You’ll be awarded one chest per Ranked Play season based on your highest rank between the two modes. Don’t forget—the further you move up the Ranked Play ladder, the more bonus stars you’ll receive next season. In Ranked Play, you’ll receive bonus stars based on your performance from the previous season—one bonus star per rank you attained. Please note that even if bonus stars from the previous season get you directly to Rank 20 or above, you still have to log in at least once each Ranked Season to qualify for the card back reward. Gather your party, gear up, and get down into the catacombs during Hearthstone’s December Ranked Play season!